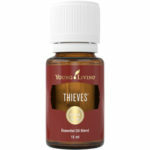 Welcome back oh weary travelers… Today I wanted to talk to you about some of the oils we use when we travel. You see my wife and I have two businesses that are roughly four hours drive apart so we spend an inordinate amount of time on the highway and staying in hotels. Over this time we (and by we, I mean mostly my wife) have developed a little standard traveler kit for our oils to assist us when we are away from home and need either a pick-me-up or a little sleep. 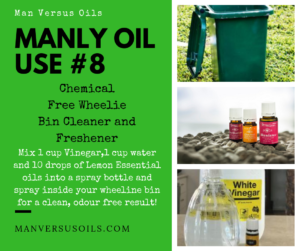 Now in true Man versus Oils fashion I will try and keep this as masculine as possible however as it is my wife who does most of the essential oils for travelling recipes listed we here may drift a little more to the feminine side. That said, I do use most of them myself so it can’t all be bad. Let’s have a look at what we use. What do we use when we travel? When you travel, there are so many elements that can affect your comfort levels, ability to sleep, ability to stay alert for whatever it is that you are there for, differences in food, water and so on. We have chosen each of our oils and oil blends based on each of these needs. And as per normal, due to the fact that these are the oils that we actually use, I have not undertaken any research into whether these oils should work for this reason or not. I will however highlight some others at the end of this post that you may want to consider if you have them or are traveling on a flight or overseas. So, as I have said, we travel a lot between our two business leading us to spend a lot of time in the car and in hotels. This is an outline of what oils we use and why. add oils only to a portable car diffuser. This one is for alertness, Peppermint and Lemon are very good alertness oils and Joy (a blend of Bergamot, Ylang Ylang, Geranium, Lemon, Coriander, Tangerine, Jasmine, Roman Chamomile, Palmarosa and Rose). 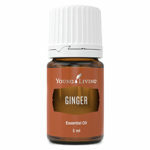 The Joy was added purely to soften the scent of the first two oils. If in roller bottle roll onto wrists, neck and behind the ears. This does pretty much the same thing (for me at least) but that is because I really love Northern Lights Black Spruce so it uplifts me as well. add oils only to your portable diffuser. The hardest thing to do when any of the issues listed above are present is to sleep. This mixture is calming and soothing and assists with sleep. If in a roller bottle add to your wrists and temples about half an hour before bed. 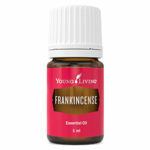 If sleep is still an issue, drop a single drop of Frankincense to the crown of your head – it really works a treat for us. As with the car blend, not the manliest of aromas but again, one that I really don’t mind – the frankincense sort of saves it this time – so I guess we will give it a pass mark. Many Hotels are located in nice areas near beaches, lakes and forestry areas – this means insects. If you suffer a few bites whilst enjoying your on-the-balcony beverage, put a drop of Purification on each bite to relieve the itchiness (and allow sleep). I swear by this one and use it all the time! Essentially, there are a number of different oil blends that you could try along these lines. We personally find that any mixture of a grounding oil (Spruce oils or Wood oils such as Sandalwood or Cedarwood etc.) and a citrus oil (Lemon, Lime, Orange, Bergamot etc.) really do give off a great aroma that will not only smell nice and manly, but keep you calm and alert throughout the day. All you need to do is sniff them in the bottles and if you like then, give them a shot (see video below). 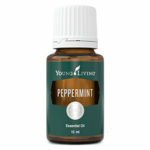 Peppermint and Ginger are both great for nausea and citrus gives a little pick-me-up. Rub on the stomach, wrists and temples prior to travel or during if motion sickness arises. You can substitute any citrus for the grapefruit if you prefer a different aroma. This one works a treat for me. That jetlag haze is a thing of the past when I use this – perfect if you are traveling for business and need to be in point for those long daily meetings. Rub onto the temples and neck before and during the flight. Lavender is calming and assists with sleep. 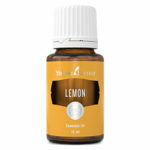 The bergamot and clary sage is really good for alertness and clarity. Use more citrus if you want to keep your wits about you or substitute Cedarwood or Frankincense for the Sage of you want to sleep the flight away – especially if you are on the red-eye! Once on board and settled into your seat, rub into the neck, temples and wrists, put on your headphones and settle in to your favourite manly action movie – or than rom-com you have always wanted to see – go on, there is no one else around – who will know? So there it is, a whole list of options for you next time you are traveling away from home and need a pick-me-up, some sleep, a calmed stomach or some practical solutions. As usual, have a gander through and pick the best one for you. Is there something else you use or another travel problem that you would like a solution for? If so, please comment below and I will be all over it for you. Need some equipment for your man blends? Now, until next time and as always. I’ve never seen oils to be as useful as portrayed in this article. I always saw issues to be normal when traveling not knowing that with a little guidance oils would solve them. 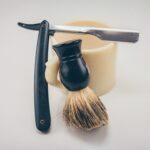 I’m impressed with this article as it has opened up my eye to different kinds of oils and how they can be used. It cetainly is a very well used and effective oil. Yes you are right, I do have motion sickness my stomach got round and round when traveling in my car or in commercial bus over a long distance. Sometimes I vomit and fee uncomfortable throughout the journey. I will buy this oil and keep for use for my next travelling and will follow the dosage usage. Thanks alot God bless. 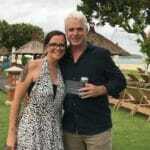 Thank you Paul, for this very interesting article on essential oils for traveling. It was especially fascinating to me because I am not very familiar with the use of essential oils and I didn’t know they could be so soothing in stressful, unfamiliar situations. This was definitely a bit of an education for me, and one I will look into further. Is a carrier oil (you mentioned grapeseed) an oil that enhances the aroma of the main ingredient oils? That Northern Lights Black Spruce sounds wonderfully intriguing and is one I’d like to try. Thanks for the pleasant learning experience, I can’t wait to try some of the ‘recipes’! Hi Sue, carrier oils are used to dilute the oils down a bit of they are too strong, or to make then go further if they are being used on the skin etc. Check out this post on carrier oils.